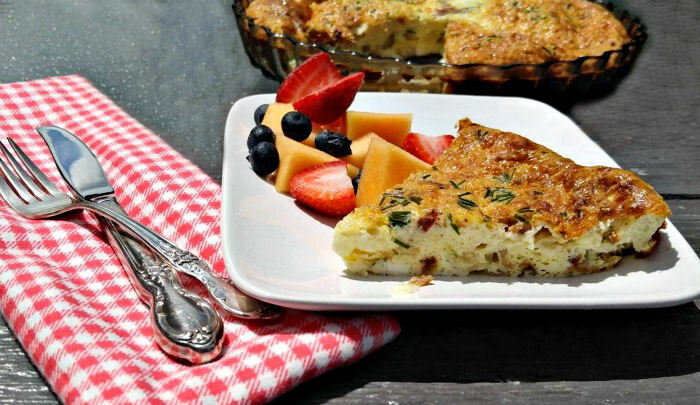 This crustless quiche Lorraine is a great alternative to the normal recipe. It has all the flavors of a Julia Child’s traditional quiche Lorraine but has far less fat and calories and no crust. Trust me, you won’t miss those extras at all. It tastes amazing and makes a great addition to your collection of healthy recipes! I’ve always been fond of quiche recipes. There is something that just screams comfort food to me when I am having a piece of quiche. I like it hot, right out of the oven, and also cold later in the week for lunches. 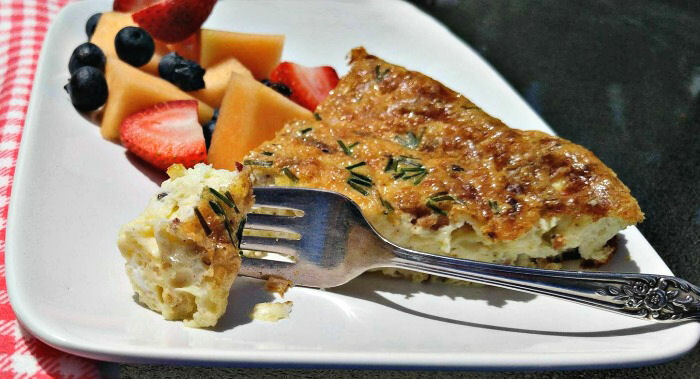 Cutting the crust out of this egg white quiche also cuts lots of calories, so it makes it a better option when you are trying to watch your weight. And using half eggs and half egg whites also cuts a lot of calories. I also cut the heavy cream in half and used 2% milk for the other half. The end result is light, fluffy and just full of a delicate flavor. Let’s make a crustless quiche Lorraine. 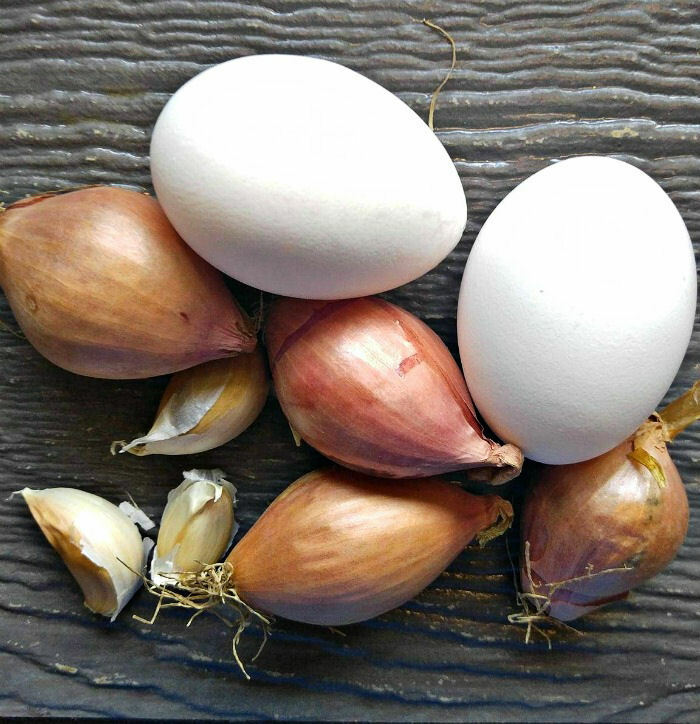 If you don’t have shallots on hand, don’t worry. These shallot substitutes will do in a pinch. This delicious quiche is a yummy twist on the classic recipe. It has the flavor of bacon, eggs, shallots, cream and shredded cheese and it holds together nicely so there is no need for the extra crust. It makes a perfect brunch recipe or a great weekend breakfast idea. This quiche is very easy to put together. I cook the bacon in the oven while the shallots and garlic are cooking and then combine them together. 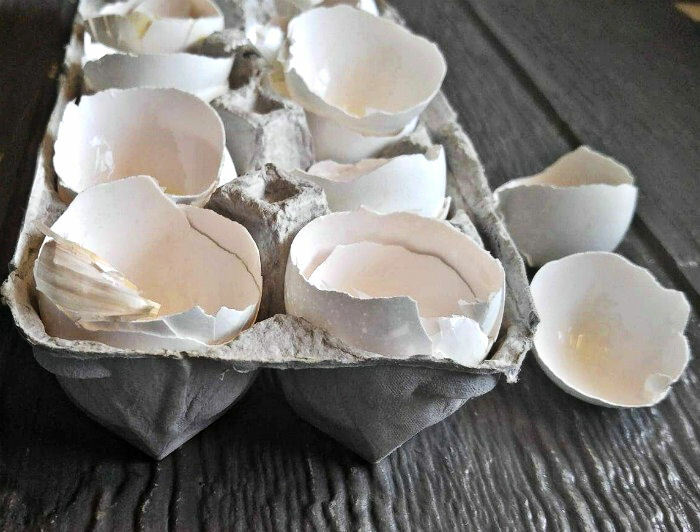 Eggs, egg whites, cream, and 2 % milk get combined for a rich base that holds well together but is not too calorie heavy. 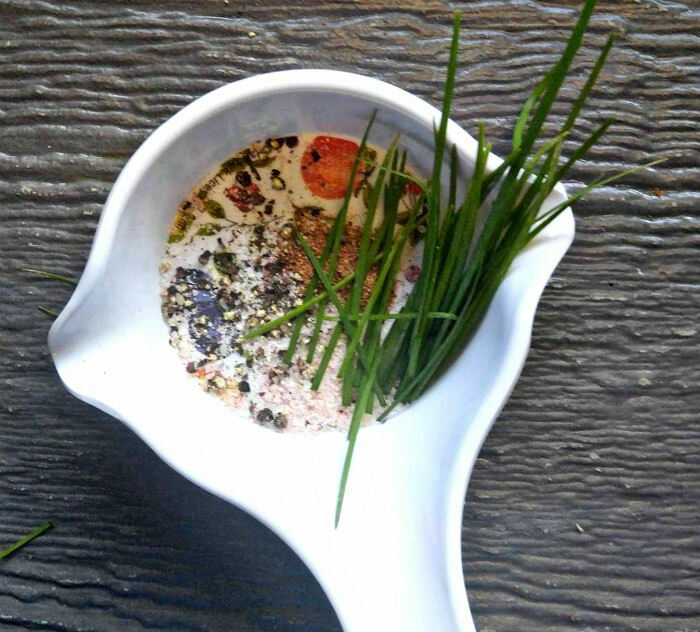 Home grown fresh chives add some garnish and the nutmeg and seasonings give it an amazingly delicate flavor..
Swiss cheese, the egg mixture and the spices all get combined. 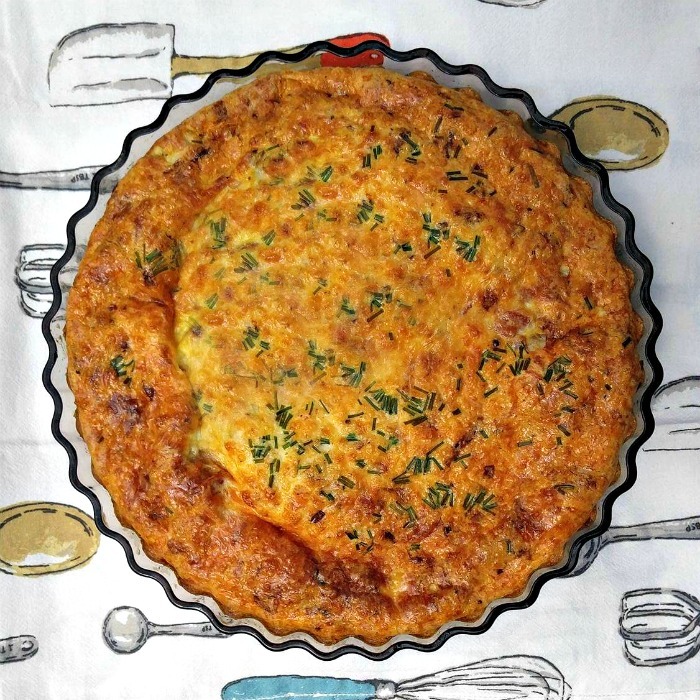 You won’t believe the flavor this quiche has when it’s done! 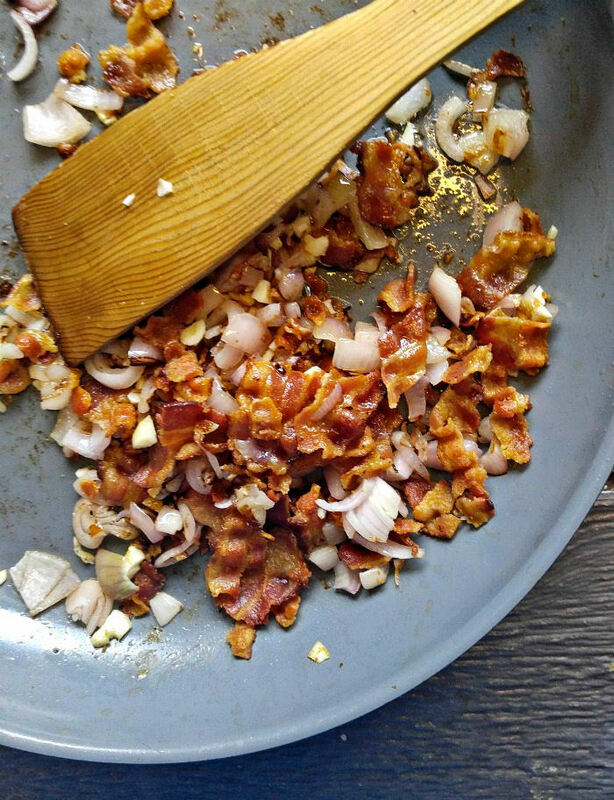 The last step is to stir in the combined bacon, shallots and garlic to add some texture and bulk to the quiche. Into a quiche pan it goes to cook for about 45 minutes until the top is lightly browned and a bit puffy. 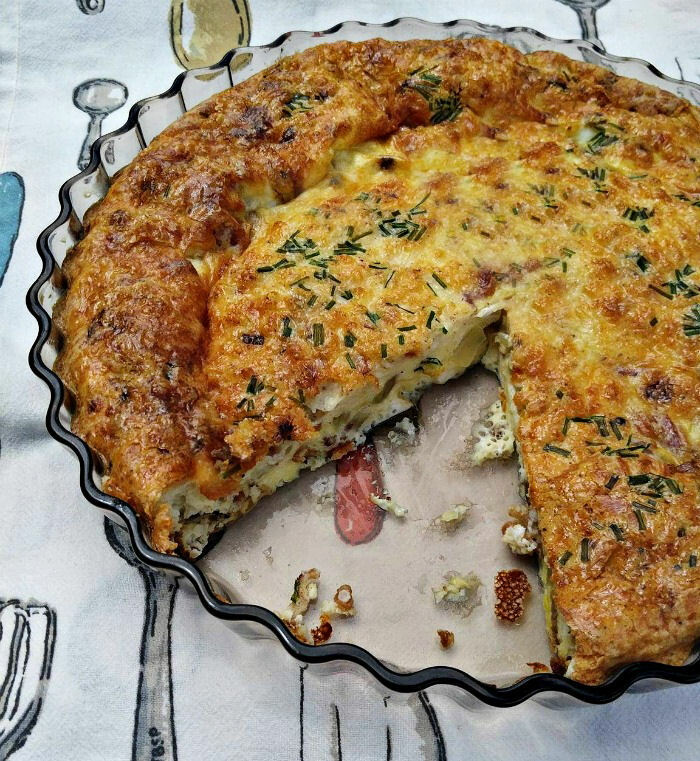 I can’t wait to dig into this quiche! . Since Father’s Day is tomorrow, this will make the perfect healthy option to a great mid morning brunch. I’ll feel good knowing that Richard will love the flavor and that I’m helping to keep him healthier at the same time! I’ll serve it with a fruit salad. For more great breakfast recipes, be sure to check out my Breakfast board on Pinterest. 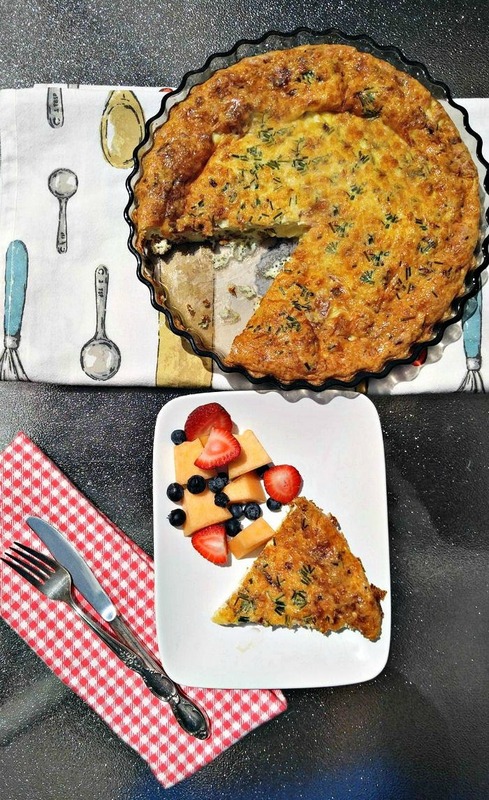 This crustless quiche Lorraine is a great alternative to the normal recipe. It has all the flavors of a Julia Child's traditional quiche Lorraine but has far less fat and calories and no crust. Preheat the oven to 350 º degrees. Heat the olive oil in a medium skillet. Add the shallots and cook until tender. Add the minced garlic and cook a minute longer. 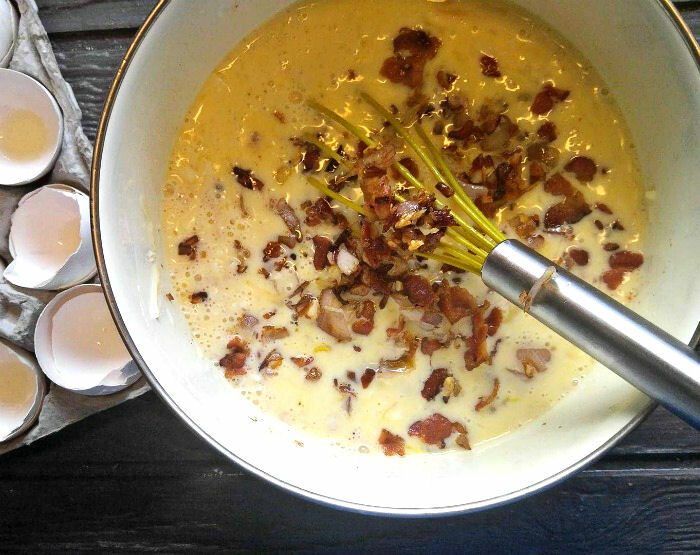 Stir in the crumbled bacon and heat through. 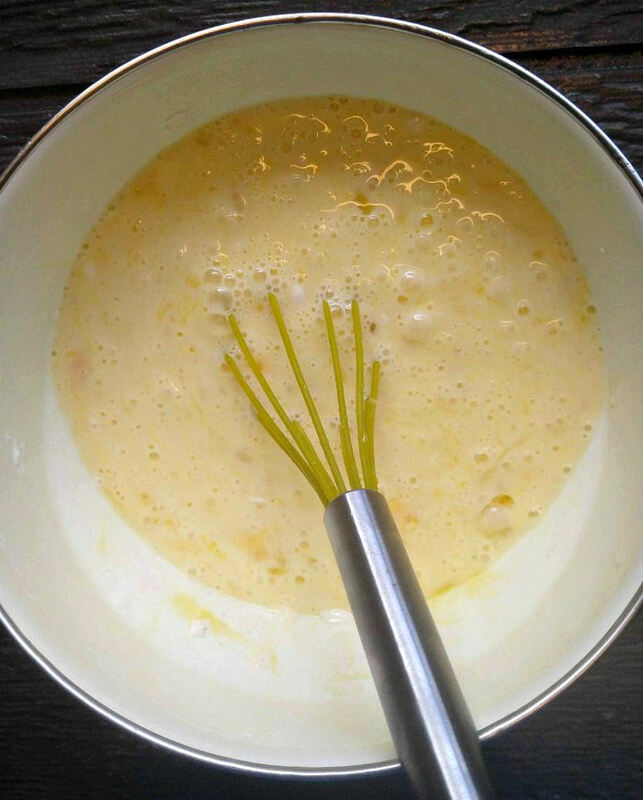 In a large bowl, combine the eggs, egg whites, 2 % milk, cream, and arrowroot powder and mix well. 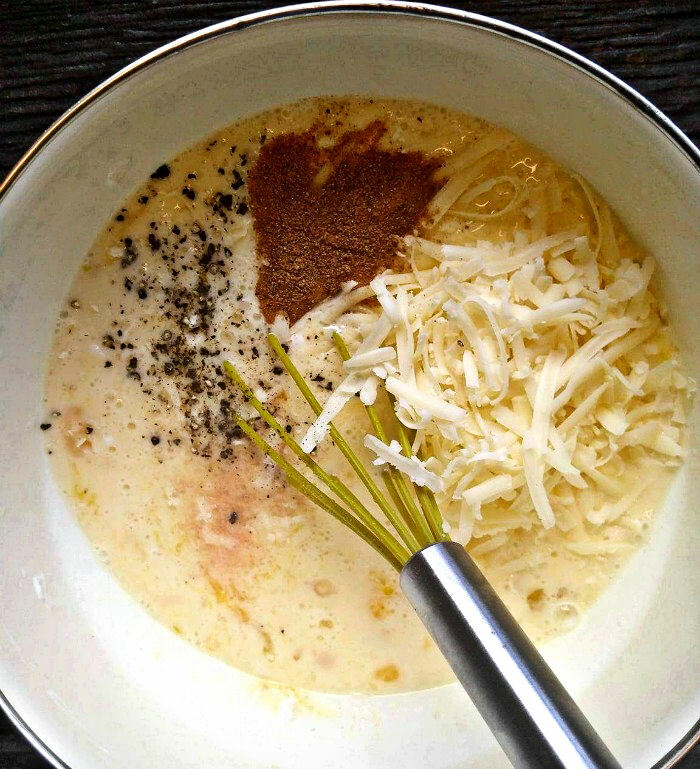 Stir in the sea salt, black pepper, nutmeg and shredded cheese. Add the bacon/shallots mixture and give it all a good stir to combine. Pour the mixture into a 12 inch quiche pan that has been greased. Sprinkle over half of the fresh chives. Bake at 350 degrees for about 45 minutes or until the quiche is golden brown and slightly puffy. Remove from the oven, garnish with the remaining fresh chives and serve. I want to try this recipe but i was not certain of that ingredient.